A Japanese newspaper has printed reports this week that Nintendo is preparing a larger screen DSi, targeting older gamers and 'brain-trainers'. The report comes from Tuesday's morning edition of the Nikkei Shimbun claiming that the new DSi will have a notably larger 4-inch screens (the current DSi features dual 3.25″ displays. The new big-screen DSi is also said to stick to Nintendo DSi's Japanese retail price of 18900 yen. The addition of a larger screen is said to be Nintendo's response to market feedback from older users. 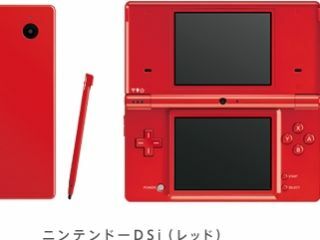 The new DSi is said to be releasing in Japan later this year and a US/European release is said to also be considered. A Nintendo spokesperson has told Famitsu.com (Via Kotaku. ), "Our company isn't doing any interviews [about this]. We think it's a speculative article." We've contacted Nintendo UK this morning for updates.